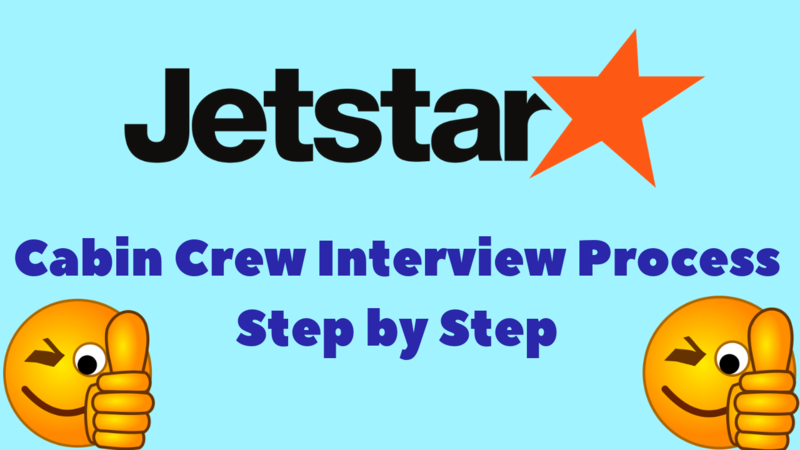 Hello, friends in this article I am gonna writing on Jetstar Airlines Cabin Crew Interview Process Step by Step. Which will help you simplify your cabin crew or flight attendant interview in Jetstar Airline? So, I requested to you do not skip any sentence read the full article. you will get the full idea. So, basically, the interview I did was in the Changi Airport, Singapore. Registration is open from 9 AM in the morning at 9.30 am Since this interview is from the invitation, the crowd was not so bad compared to another interview. I sent my application through their website because they were accepting interest at that time. I got an invitation from him a month later. So when I arrived it was about 9.15am. We were told to queue for registration and you’ll have to produce your application form and photocopy of certificates. Once that is done they’ll hand you a number tag and you’re going to stick to that number the whole day. After registration, you will have to verify your height. Jetstar Airlines employees have been assigned to help you. After that, go to a room and take your photo as background with Jetstar logo. Sit down for the main interview. Since the registration closes at 9.30, so everyone had to wait until the last person was registered, so I waited till 10.15, I think. First of all, they will start by presenting your company’s value, mission, and vision. Then they will share the success stories of their employees. It was quite attractive. Then, they will show a PowerPoint slide about the different rounds of the day, the day on which can be expected. Then, first round: group introduction. Everyone had to follow the sequence of their numbers and group them in 10. Then the use of the group will be assigned to the descriptor and the 1 minute time will be assigned to appear. I think it is better than you try to start a conversation with other candidates, while you were waiting for the first time so that I can relax a bit. The user will not ask questions why you want to be a cabin crew member or what type of Jetstar Airlines questions. You only have the freedom to tell something about them. Then, when the time is up, the accelerator will give you an illustrated card to talk to you. This is a random image. Therefore, you have to talk about it, because it will also be synchronized for a minute. I will not say at all what is easy, but if you are really able to speak, then it is very simple for you. They gave us half an hour for this, which I think was too long. (Food was not provided anyway) Okay, I think this was the part where everyone started talking to each other. After lunch, we had a team game. They will give you a folder and they will tell you how the game is going and what you need to achieve in order to win it. During this part, it is important that you participate. All will be competitive, but you should try to fit. When completing each team, you have to answer all. Those who were not active in the previous discussion will be selected to attend When all teams are finished, Jetstar will last for a while and when they come back, the results will be declared. That day there were about 100 candidates and it was reduced to around 40. Those who have been successful will be asked to leave the room for a while and will be waiting to call their number to copy all those other documents, which is their passport copy, a copy of the NRIC etc. Then she will have to wait again for her number and she will go to the same room where she was in the formal interview for more than a morning. 2 Jetstar Airlines members will be able to access you. The questions that are asked are basic, such as what you are currently doing, why choose Jetstar airlines and why. For some (like me), they will give you a scenario to work. This is more about how to handle those situations. Do not take your answer, even if it sounds ridiculous! There is no right or wrong. If you are selected, you will inform you about the basic aspects of payment and basic aspects of payment in the first 4 months, which seems to be the most important. In a typical month, you can earn up to $ 2,600. The administration will call you in 3-5 days to inform you if your application is successful or not. Ok, I got the phone on the fourth day! Next week, he asked me to go to Jetstar office at Changi airport, so that I have a last interview with the management and then your interview is going well, sign the contract. Then, on that day, they asked us to meet at 1.45 PM. M. In front of a cafeteria and the staff were waiting for Jetstar to go to the office. We wait for a while to comply with the management. They told us that there were 4 of them. And do not worry, this is an informal interview in which the directors ask simple questions and prepare for them too! After taking turns in groups of 6 to talk to each of them, we waited about 20 minutes for the result. Only 2 candidates were expelled. Although it was sad. After this, we proceed with Powerpoint slides with a more detailed account of the compensation and benefits and those who have $ 1000, then proceed with signing the contract. For those who need time to think, you will be notified by email when you need to send a response. Actually this is about it and, honestly, I think the Jetstar interview was very interactive and fun because it requires a lot of conversations. I hope this has helped you a bit in the last stages of the interview and will have to follow the process. Best wishes for future applicants! If you live far from Malaysia, they will inform you if they accept you on the first day of the interview, so that you can avoid flying from there in such a short time.